What a first few months by Chairman Ed Hayco and the CCSC commissioners. Congratulations! 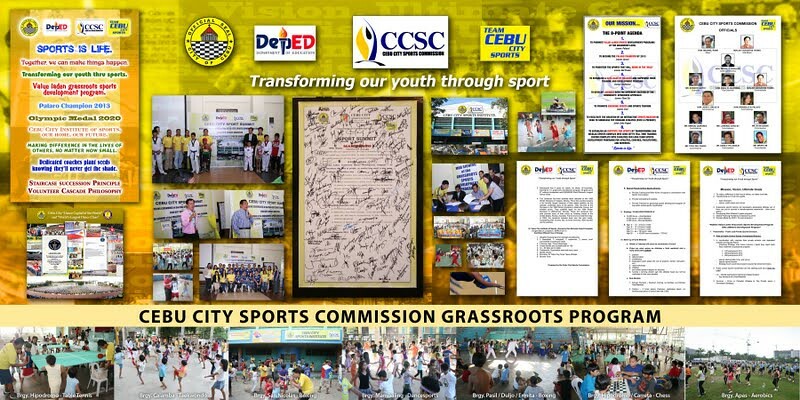 We have asked a Cebu City former cycling champion, Mr. Jo Deresas to approach the Chairman of the Cebu City Sports Commission to inquire if Cebu City is interested in joining the coming international road cycling event on 16-19 April, 2011. Up to this time however, it appears that no decision, much less a meeting has taken place concerning the matter. This is the only UCI-recognized race in the country. Being married to a Cebuana lass and having been in the City a number of times, I believe the City should not let this opportunity to participate pass. We are limiting the number of teams for this race, but we have reserved a slot for Cebu City or province in case you decide to join us. Best of luck and congratulations to the Commission.